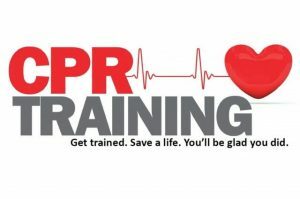 The Friends of Greenfield Dance is happy to announce that we will be offering a class in CPR/AED (automated external defibrillator) this spring. This certificate CPR Course teaches participants how to recognize and treat life-threatening emergencies such as cardiac arrest, stroke, head injury, choking, and electrocution. In addition to CPR and choking relief, use of an AED is also taught. This course is 2 hours in length and costs $40/person. This course will be taught by Nicole Thurrell, Recreation Therapist and Wilderness EMT. Nicole worked for almost a decade in wilderness therapy and residential treatment as a field instructor, health director, and admissions director. She has been an adventure racer, an ambulance worker, a clinician for kids with Autism, a raft guide, wilderness guide, kindergarten teacher, ropes course facilitator, and a mom. She lives in the Solar Village in Greenfield, MA. Classes will be held at The Guiding Star Grange. Please go to https://www.surveymonkey.com/r/WW22P27 to register for this class. Please pick what dates you are available to take this class.